25% will be charged for cancellation after booking. before booking group please contact us. Eden Jungle Resort offers you peaceful environment in chitwan national park sauraha, it has quality accommodation, a restaurant serving freshly prepared Nepali, Indian, and Western dishes, and experienced guides for jungle safaris. 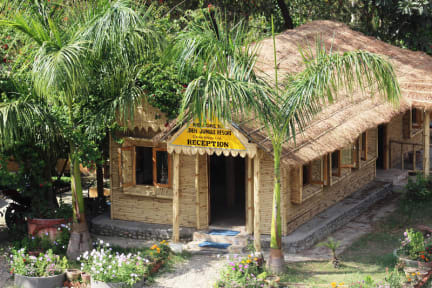 Eden Jungle Resort is in Sauraha Village located nearby the government elephant stable and the national park entrance. 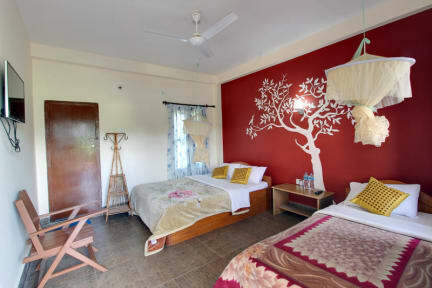 The resort is built in Chitwan's typical style, equipped with all the modern comforts. The surrounding area is full of shady gardens and open lawn.